If you are in need of a little extra money to supplement your income, we have just the thing for you. It seems like nowadays, everyone is earning money doing something other than working a typical 9-5 job. To help you get in on the action, we’ve compiled some of our favorite ways to earn $1,000 or more. WANT TO LEARN HOW TO MAKE EXTRA MONEY? EXCLUSIVE CONTENT AND MORE? JOIN OTHERS LIKE YOU AND BE THE FIRST TO KNOW. 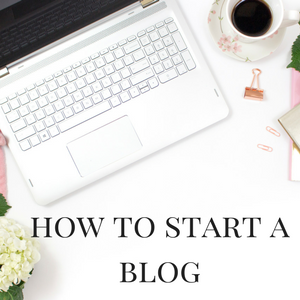 Blogging is a great way to make a full-time income. With consistency, and patience you can earn a decent income while working from anywhere! Check out websites like Fivver, or even your local Craigslist site to find odd jobs. There you will find dog walking jobs, cleaning gigs, moving assistance and so much more! You can make $100 or more each week by donating plasma. You can find your local plasma donation center by performing a simple Google search. As long as you are healthy, you should be able to donate. Count on spending a few hours at the donation center each time you visit. Note: If you are afraid of needles, this is not for you. Hosting a garage sale, or even listing items for sale on Craigslist or local Facebook Buy/Sell/Trade sites can earn you big $$$. If having a garage sale, be sure to advertise it with road signs, or even promote it on Facebook. Items that typically sell fast are baby items, toys furniture, clothing, and books. Yes! You can make money by doing what you do anyway! Shopping online is becoming our go-to method of choice. There’s nothing like being in your PJ’s and surfing the web for the latest findings. Why not get cash-back for what you enjoy doing? These are my few favorite cash-back apps, Ibotta, Swagbucks, and Ebates. Not all Mystery Shopper jobs are scams. Investigate any opportunities thoroughly so that you don’t get taken advantage of. Trend Source is a great (and legit) place to find Mystery Shopper opportunities. Are you a good writer? If so, then this one is for you! 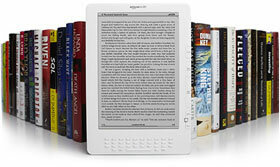 You can earn a significant amount of money each month by publishing a Kindle ebook. (You can also publish it to other platforms.) Be sure to choose an interesting topic that you are knowledgeable on, and start writing. Have a friend or professional editor look it over for spelling and grammar mistakes before you publish. I am an active Fiverr user and I blog as well. I guess you could add things like selling products on Etsy, creating doodles, connecting with brands for collaborations and product exchange reviews, Creating a youtube channel, nannying, teaching english, teaching communication, teaching how to blog, counselling, handling social media accounts of other brands. I guess the list of what to do and what can be done when it comes to earning a little extra is endless hahaha..
Nice! Creating doodles!? That’s news to me.